​The Kansas Infant Death and SIDS Network, Inc. (KIDS Network) serves those individuals who have been touched by the tragedy of infant death or SIDS and those individuals or organizations who strive to reduce the risk of infant deaths by providing supportive services, community education, professional training, and supporting associated research. The Kansas Infant Death and SIDS (KIDS) Network, Inc. was founded in 1996 as the SIDS Network of Kansas and certified as a non-profit corporation in the State of Kansas on July 31, 1998. The Network serves the entire State of Kansas, which spans 82,000 square miles, and whose population is 2.7 million. The KIDS Network is a support organization dedicated to providing grief and bereavement support services to families that experience the sudden death of an infant. Additionally, the Network provides community awareness and professional education specific to sudden infant death. The Kansas Infant Death and SIDS Network was co-founded by Ted c. and Susan E. Bredehoft of Wichita, Kansas after the death of their granddaughter, Haley Elizabeth Slaymaker (December 9, 1996 - June 16, 1997). Susan and Ted had a zeal for life; they knew the sorrow of Sudden Infant Death Syndrome (SIDS) and saw the hope of a brighter future. They were committed to providing compassionate care for bereaved families and awareness to reduce infant mortality. Without their vision and energy the KIDS Network would not be what it is today. In recognition and appreciation of their tireless efforts in pursuit of the Network’s mission, the KIDS Network Board of Directors decided to honor Susan by designating the annual KIDS Network memorial, the Susan E. Bredehoft Candle Light Memorial for the Kansas Infant Death and SIDS Network. The Network also developed the Ted C. Bredehoft Award (the Ted) to honor a Network advocate for their tenacity and distinguished service. Although they are no longer physically present, Susan and Ted's spirit of generosity and care for the community they loved so much remains. Two decades? Sometimes it seems like yesterday that the KIDS Network was founded; sometimes it seems like a century ago. We’ll be marking this milestone and the programs and people involved as 2018 rolls along. Below is a list of many key events and developments. What it doesn’t include, though, are the names of the board members and others who helped carry out the KIDS Network’s mission of serving individuals affected by infant death and SIDS, and in instituting programs and research that will bring an end to these tragedies. We plan on recognizing their generous service, too, during 2018. Haley Elizabeth Slaymaker, in 1997. 2000: The first Haley’s Scramble for SIDS Golf Tournament is held, named after Haley Elizabeth Slaymaker. First candlelight vigil held, later named Susan E. Bredehoft Candle Light Memorial in memory of Network founder. Hired Christy Schunn, LSCSW as part-time program director. 2002: Statewide Six Steps for Safety safe-sleep program was launched at Governor’s Conference on Public Health. Program director position transitioned into executive director. 2002 -2012: Worked collaboratively on legislation and regulation to include safe sleep training for childcare providers. 2004: Ellen Patterson, LSCSW was hired as executive director. Christy Schunn coordinated 1st annual Step Up for Kids 5K fund-raiser, with memorial and other events added in future years. 2005: Christy Schunn returned as executive director. 2007: Organization rebranded as SIDS Network of Kansas. Implemented Sudden Unexpected Infant Death Investigation (SUIDI) guidelines for first responders statewide. 2007-2015: Served on the National Association of SIDS and Infant Mortality Programs (ASIP). 2008: Completed Kansas Public Health Leadership Institute Capstone project. Implementation of Safe Sleep in Birthing Hospitals. 2009: Collaborated with the Governor’s Blue Ribbon panel on infant mortality to implement Fetal Infant Mortality Review statewide. 2010: Statewide Cribs for Kids program launched at Governor’s Conference on Public Health. 2011: Developed & implemented Safe Sleep Community Baby Shower in collaboration with Wichita Black Nurses Association. 2012: Medical Society of Sedgwick County Physician Safe Sleep Task Force was created. 2012-2017: Co-facilitated Maternal Infant Health Coalition in Sedgwick County. 2013: Rebranded as Kansas Infant Death & SIDS Network to reflect changing and expanded mission. 2014: Collaborated with KU School of Medicine Community Work Group to provide statewide assistance with fetal infant mortality reviews. 2015: Piloted Safe Sleep Instructor Project funded by March of Dimes. Co-hosted Infant Mortality Summit. 2016-2018: Implemented Statewide Safe Sleep Infrastructure funded in part by Kansas Department of Health and Environment’s Maternal Child Health Bureau. Includes Safe Sleep Instructor certification, Physician Safe Sleep Toolkit, Safe Sleep Community Baby Shower, and Safe Sleep Hospital Certification Program. ﻿Christy S. Schunn, LSCSW, is the executive director of the Kansas Infant Death and SIDS Network. She has a Bachelor of Science in Social Work from Bethel College and Master of Social Welfare from the University of Kansas. Christy is a licensed as a Clinical Social Worker in the State of Kansas and member of the National Association of Social Workers (NASW), the International Society for the Study and Prevention of Perinatal and Infant Death (ISPID) and the Association of Death Educators and Counselors (ADEC). 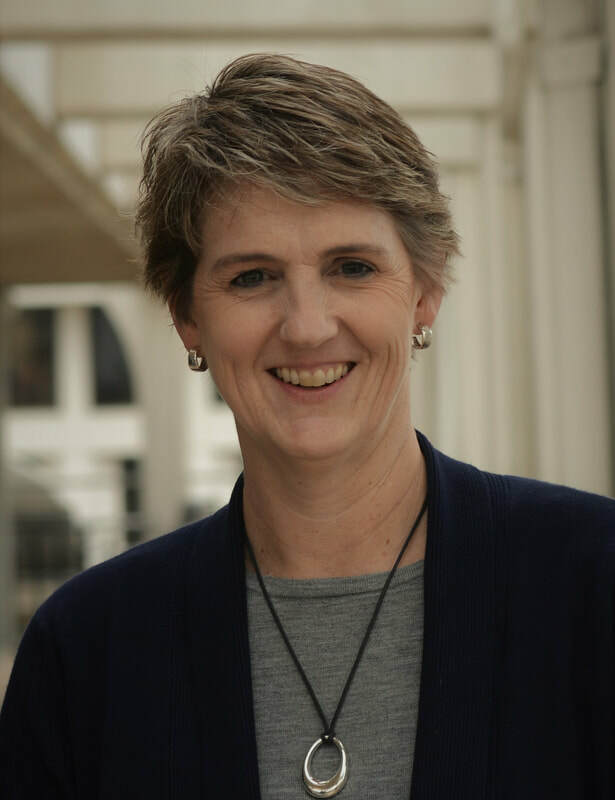 Christy serves as chair of the Center for Research on Infant Birth and Survival (CRIBS) board of directors, previous board member of Safe Kids Kansas and the National Association of SIDS and Infant Mortality Programs (ASIP) as treasurer from 2007-2015. ​Christy conducts statewide professional development and community education for first responders, health care providers, parents, caregivers and child care providers; technical assistance on safe sleep, and counseling to bereaved families and caregivers. Libby Baumgartner, MS, serves as the bereavement specialist and art therapist at the Kansas Infant Death and SIDS Network. She has a Bachelor’s degree in Social Work from Goshen College and a Master’s of Art Therapy from Emporia State University. Libby began her career in the social service field over 20 years ago. She is a member of Association for Death Education and Counseling and a previous board member for Circles of Hope Harvey County. Libby provides counseling to bereaved families and caregivers and conducts support meetings and peer contact training statewide. 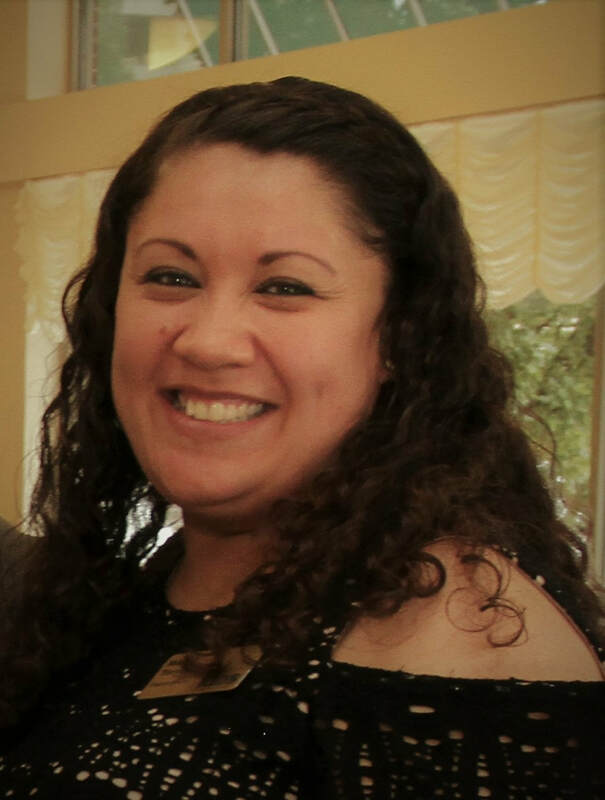 Brenda Salinas is the office manager at the Kansas Infant Death and SIDS Network. 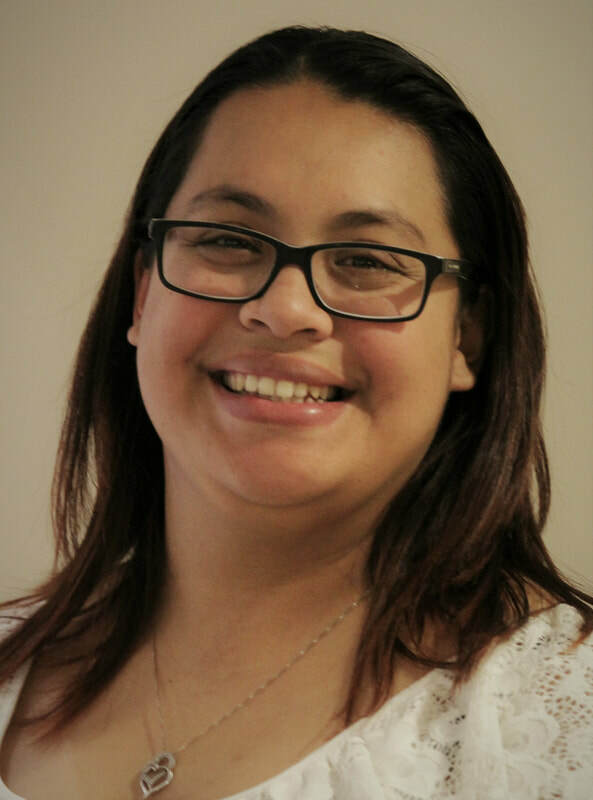 A native Californian, Brenda comes to the KIDS Network with experience in maternal infant health systems and is working to pursue her bachelor of nursing. Brenda serves as the office guru and coordinates Network development efforts including Step Up for KIDS and Haley's SIDS Scramble. Maria conducts statewide professional development and community education for health care providers, parents, caregivers and child care providers; technical assistance on safe sleep, and coordinates the Safe Sleep Instructor (SSI) Project including Community Baby Showers for Safe Sleep. The KIDS Network became a reality by selecting a Board of Directors and hiring a Program Director in November 2000 to coordinate SIDS services in Kansas. The current board membership includes bereaved parents, grandparents, child care providers, first responders, pediatrician, OB/GYN, family medicine, funeral director, and select members of the general public.